The success of the proud graduates is the result of their commitment towards fulfilling the programme’s main objective, which is to train and prepare staff to take on key management roles and leadership positions within R.E.A.L Kids. With R.E.A.L being in the business of transforming lives and nurturing lifelong learners, the graduates’ accomplishment reflects the philosophy of continuous self-development as well as the qualities espoused in R.E.A.L’s ‘5C’ core values. In his speech, Mr. Kenny Sim, R.E.A.L Education Group Vice-President of Group Corporate Resources, shared with the graduates on ‘Service Leadership’ and ‘Uplifting Service Culture’. “The character and value of service you provide elevates and inspires you – and uplifts the people around you,” he said. He also reminded the staff to never rest on their laurels and always strive for excellence. The idea of the MAP was first mooted three years ago with the aim of grooming, preparing and fast-tracking the careers of future R.E.A.L Kids principals and centre managers. It is a two-year course in which trainees are subjected to just 2 to 3 hours of lessons and assessments per month in order to accommodate their busy working schedule. These add up to a total of 720 hours that all trainees are required to complete. One of the advantages of MAP includes having potential principals who are already familiar with the R.E.A.L philosophy due to their status as long-time, existing staff. Another key feature of MAP which trainees can benefit from is having industry experts within R.E.A.L Kids who are able to share with the management apprentices their vast knowledge and experience in the field ECCE or Early Childhood Care and Education. Theory is after all, useless without real-world, practical application. This is what MAP is all about. 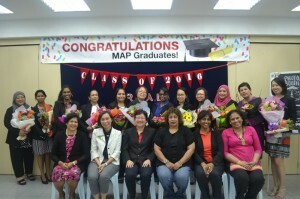 According to the previous MAP graduates, the programme was extremely useful and relevant as it taught them the inner workings of operating a kindergarten. These include areas such as Finance as well as ISO systems and procedures. Crucially, MAP also provides on-the-job training for apprentices. With that, congratulations to the latest batch of graduates for their sterling efforts! It is hoped that this achievement will spur them on to greater heights as well as inspire their peers to follow suit and emulate their feat. 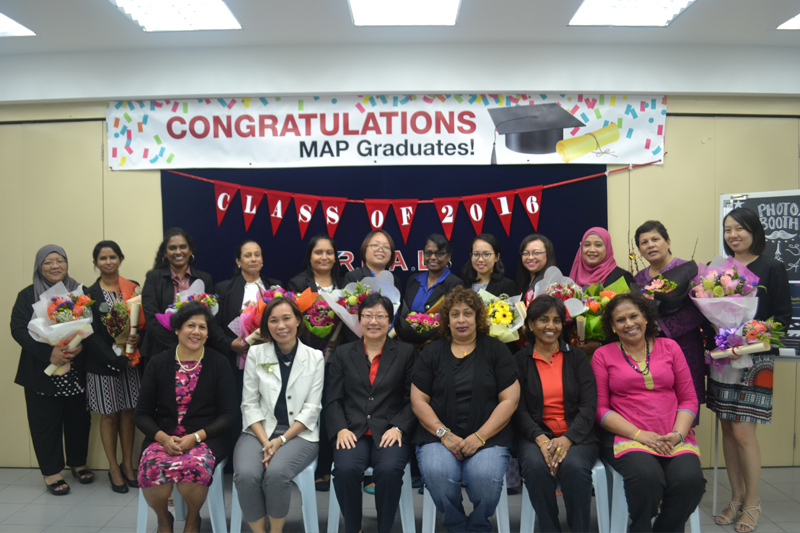 As MAP grows from strength to strength each year, these individuals can now be proud ambassadors of the programme, bearing testament to its proven quality and effectiveness. For centuries now, a desk, books, chalkboard, homework defines what all of us think about school.. Send me a copy of the book now!